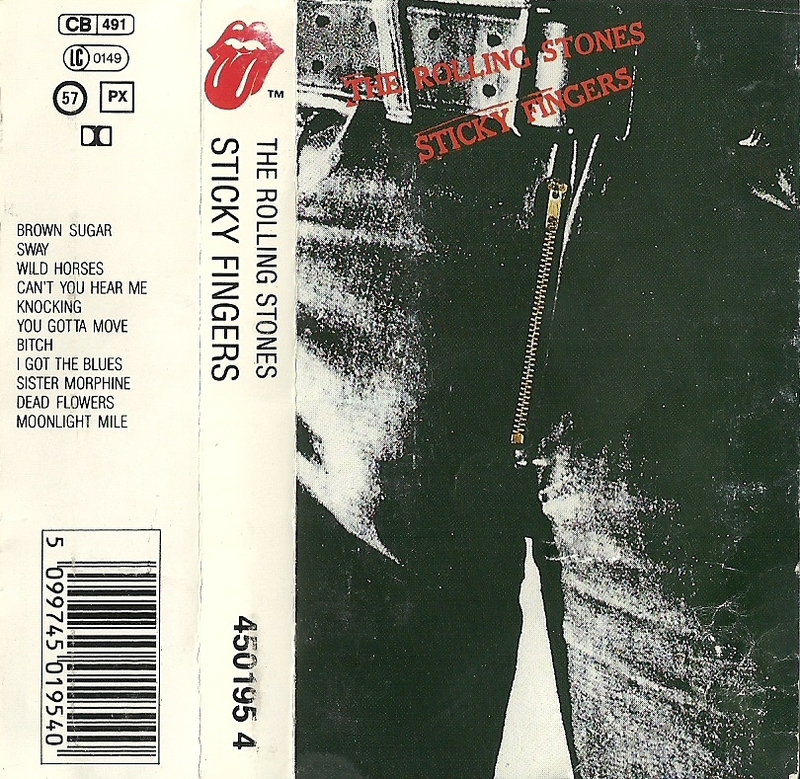 After writing the Love You Live cassette post, I came to think of it that also different issues of Sticky Fingers on cassette are quite peculiar, coverwise. Most of the cassettes will have a picture of the famous Warhol jeans cover on front. But in 1971 in the UK also a cassette was issued that had the original inner cover, the underwear picture, as front cover. Inside was the band’s portrait by Peter Webb. No jeans – with or without zipper – in sight. Wonder how these were presented in the record shops. Also remarkable: when folded in the box the underwear picture doesn’t have the band’s name nor the title on the front, and also not on the side. As on the original Velvet Underground & Nico banana album, the only name on the cover is… Andy Warhol. Now thát Andy surely must have liked. Underwear picture as front cover. Different issue, with jeans cover. No other picture inside. The two cassettes next to each other. 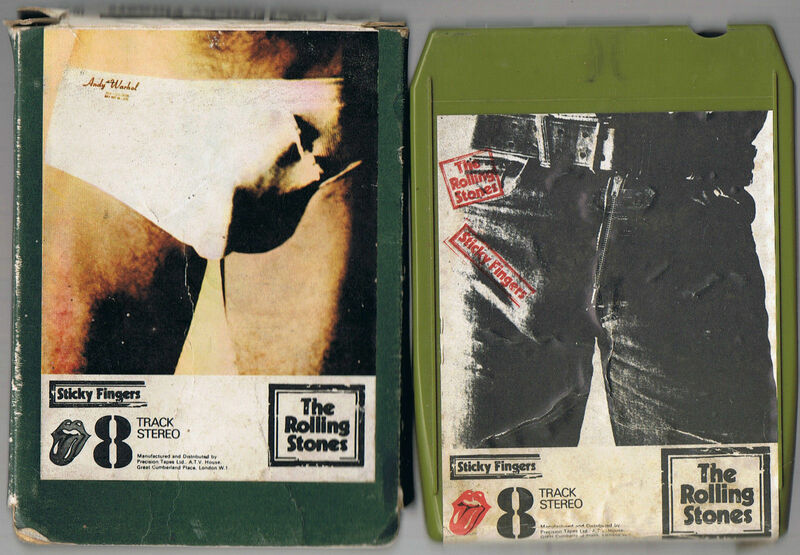 No ‘Rolling Stones’ or ‘Sticky Fingers’ on the front of the version on the right. Just Andy Warhol. The issue below in the 8 track format has the inner and outer covers reversed: underwear picture on the outer cardboard slipcase (what’s in a name! ), jeans picture on the cassette. I have never been interested in cassettes, but this is fascinating. Perhaps this should be another area to start collecting. Thanks Richard. I have a lot of cassettes and I have to admit that in general they are pretty boring. 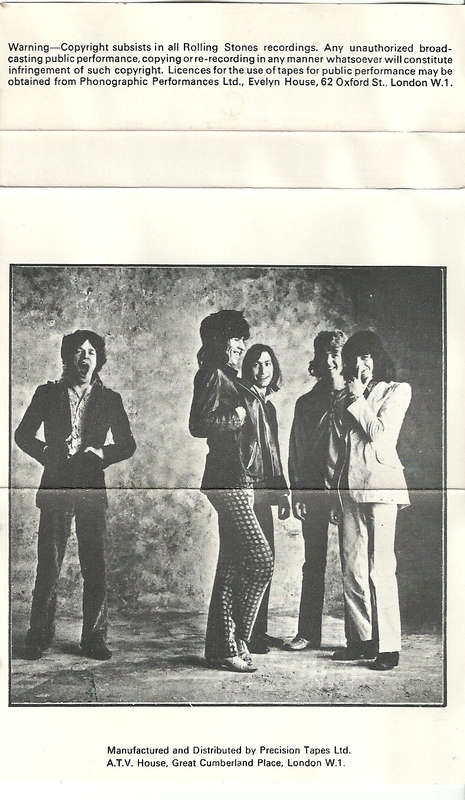 But the Rolling Stones cassetes, both Sticky Fingers and Love You Live, have alternate covers that are significantly different from the LP versions.